First one-way-plane ticket (first flight with cat). First apartment in New York. still awesome. First 30-day Unlimited Metro Card in New York – true sign of a New Yorker. First Halloween in New York. We did arrive just a few days before but we made the most of it with a few hours volunteering at the American Museum of Natural History and a few hours hanging out at the Central Park Halloween festival. Not too shabby for our first week in the city. First trip to Coney Island. 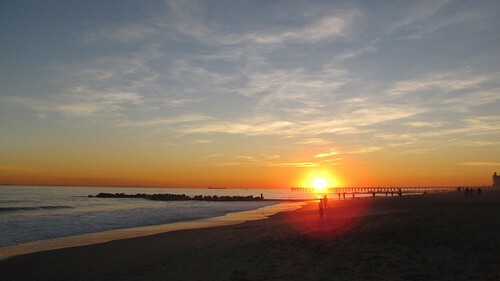 We had Nathan’s, we walked the boardwalk, we strolled on the beach, and we watched the sunset after putting our feet in the ocean. Definitely have to revisit this one when the weather warms up again. I don’t think I fully considered what all New York has to offer but this was a real eye opener. First Thanksgiving in New York. 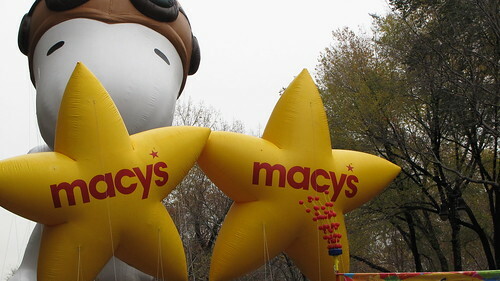 First Macy’s Thanksgiving Day Parade! We got to enjoy this holiday tradition with amazing Columbus Circle viewing thanks to a friend’s fiance and his role as one of New York’s finest at the Columbus Circle station – the officers get passes for their friends & family to view the parade from a special area and we were lucky enough to be on the list. Words cannot express how awesome that was. First winter coat in New York. First use of said winter coat. First job in New York. So far so good on that front. First Holiday season in New York! Seeing the city dressed in twinkling lights with trees and menorahs in every window and to run into a Holiday Market at every turn has been a blast. What with our house-guest, we pushed most of our shopping to the last-minute, although to be honest that’s our norm. Despite all our best intentions we seem to always end up shopping for one another on Christmas Eve. It was so much fun though to have the trains at my command taking me from Union Square to Columbus Circle lightening fast then when I realized I needed to double back to Herald Square – no problem! Most New Yorkers I know complain about the train – it’s too infrequent, dirty, unreliable, too expensive, etc… – but I love it, so far. The recent cost hike didn’t help it’s cause though. Shopping in the hectic world of Manhattan was both intense and exhilarating. Everyone out there had the same goal – find that perfect something and get through the checkout line asap! 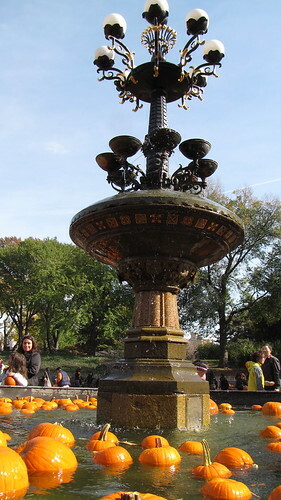 This entry was posted in everything i've blogged, locations, observations and tagged blizzard, Central Park, Columbus Circle, Coney Island, Firsts, Holidays, IKEA, Macy's Thanksgiving Day Parade, museum, New Year's Eve, NYC, snow. Bookmark the permalink. 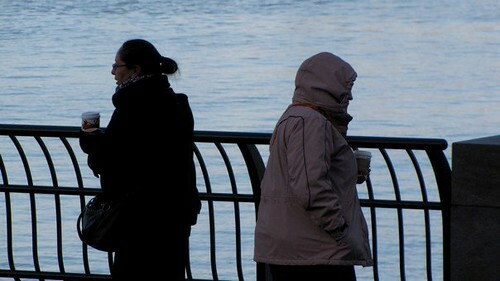 2 Responses to Goodbye 2010, Hello 2011!